The good weather has arrived and it is important to make sure our outdoor spaces and our pool are well equipped so we can enjoy them to the fullest. More and more people are installing a cover in their pools. For this time of the year we recommend installing a floating cover due to its characteristics. This model prevents the loss of heat, protects against the fall of insects and external pollutants. They are also very suitable for heated swimming pools, as their composition allows significant energy savings. For outdoor pools its function is to increase the water temperature using the action of the sun which penetrates through the cover, therefore lengthening the swimming season in outdoor pools. In addition, it keeps it cleaner and avoids the need to use too many treatment products. The floating cover is kept on the water and is fully embedded in the interior of the pool. Thanks to its light weight it is very easy to handle with a reel, which allows it to be manipulated and stored even more easily. It is important to bear in mind that, due to the materials they are made from, these summer covers are not suitable to withstand the harshness of winter. Therefore it is advisable to remove the floating solar cover during the rest of the year, since frost would cause it to deteriorate quickly. 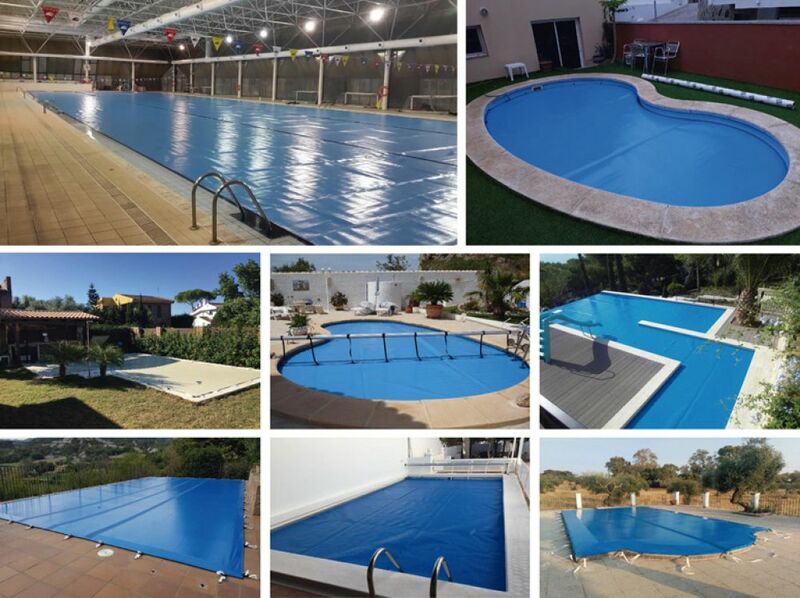 This cover model is ideal for this new summer season, whether for public or private pools. Even so, the pool department studies each project to offer the best solution to the client.